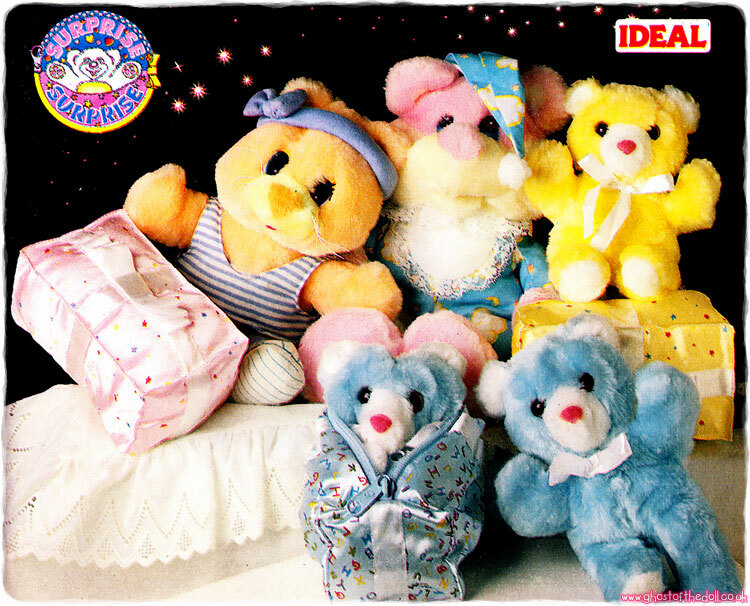 There were nine figures produced in 1984, seven goodies (including the one and only male character), one baddie and one owl figure. 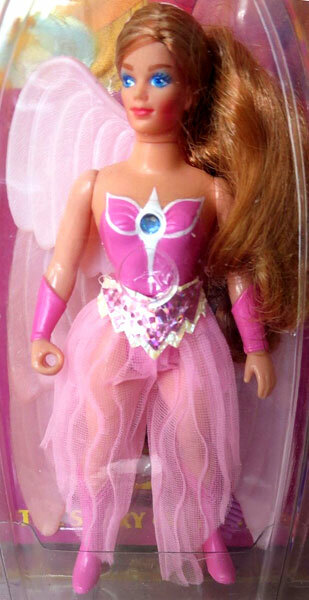 Every doll in the first series came with a light pink comb and a mini-comic and various pieces of clothing. They all had painted-on bodices, boots and cuffs and some had painted-on leggings too. 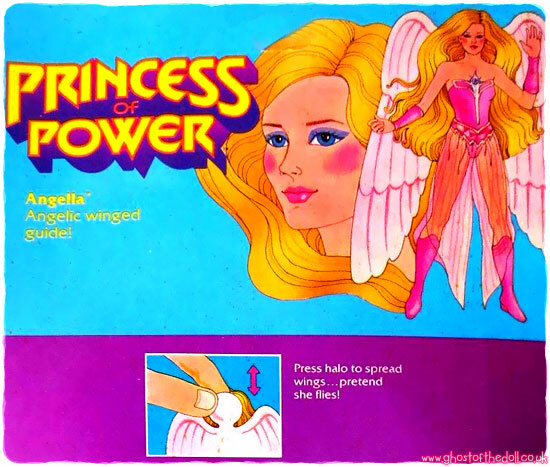 "Each of these Princess of Power dolls has a different look, a unique personality and a special action feature." 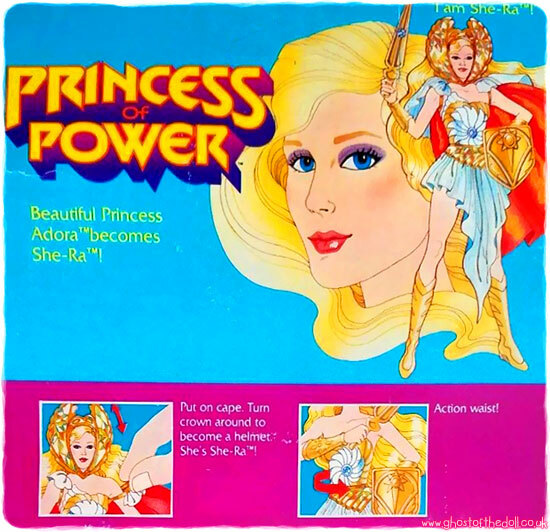 "Princess Andora becomes She-Ra, most powerful woman in the universe! " 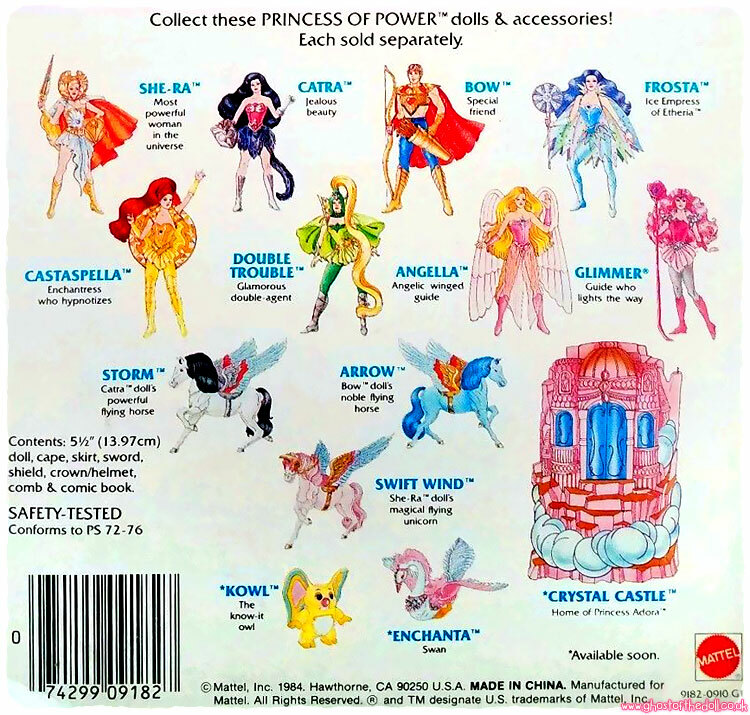 A promotional She-Ra was also available which included a free child-sized necklace. 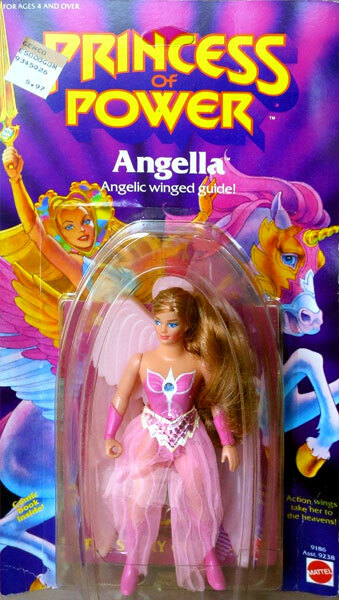 "Angelic winged guide! 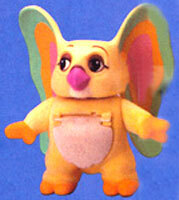 Her wings can flap open and closed!" 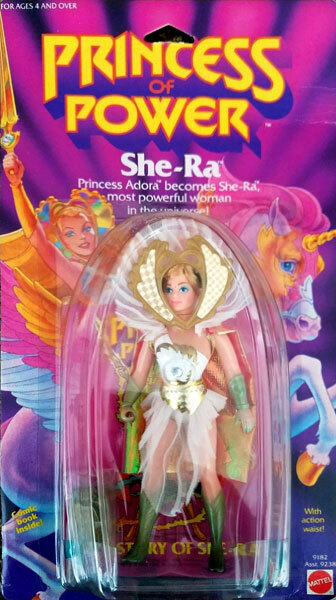 "Special friend who helps She-Ra! His heart can 'beat' for She-Ra!" Mini-comic "The Hidden Symbols Mystery"
"Enchantress who hypnotises! Her hypnotising disk can spin!" 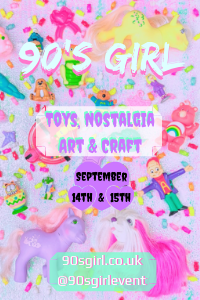 Castaspella was released with several different designs of boots painted on her legs including one with solid yellow boots and one with lightning bolts. "Jealous beauty! She can become a trouble-making cat!" Double Trouble could change her face from good to evil when the wheel in her back was turned. Mini-comic "Adventure of the Blue Diamond"
"The guide who lights the way! 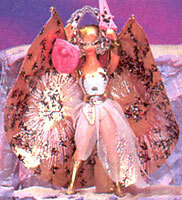 Her headdress and scarf can glow in the dark!" 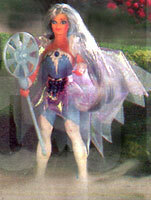 "Ice Empress of Etheria! Her wand can spin and whistle!" "The know-it owl! When asked a question, he can give a colour-coded answer! Kowl could answer your questions by a colour changing panel on his belly. Red meant no, yellow meant maybe and green meant yes."